When I was a little boy just starting violin lessons, my teacher’s instructions were that I should practice a half hour every day. For a six-year-old this seemed an enormous load. 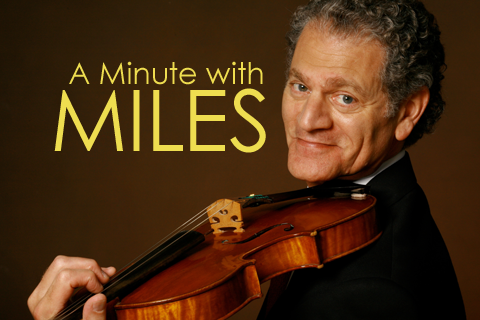 I liked the violin… but a whole half hour, every day? Usually I would start, and then run to my mother every five minutes asking, “Is it a half hour yet?” And even later, when I started on the road to a career in music, practicing remained a duty, something I knew I had to do even if I would rather have been doing something else. And now? Well, amid all of life’s accumulated burdens and time-consuming obligations, practicing has come to seem a luxury and a delight. It’s quite a change: I still have to practice, but now I love to practice. All I have to do is find a few free hours and presto!... the world turns into music. I play my viola, and I try to get better. And if you had told me when I was six that practicing was fun, I never would have believed you.